Emilicia STYLE - A Beauty, Fashion, & Lifestyle Blog: Stay Cosy, Look Cute: The Best Pjs For Lazy Days! Stay Cosy, Look Cute: The Best Pjs For Lazy Days! This week, as you all must know by now, I have been sick. It's not been a particularly great experience - and honestly, blogging whilst I'm feeling like this has not been easy! Luckily, I've managed to bounce off some of my previous ideas for future blog posts, and this has helped me somewhat in getting content out there despite my circumstances. However, today, I have been struggling in coming up with something new - and something doable in my current state. Make-up tutorial? I'm not looking my best right now, and I certainly don't have the energy in me to make the effort with putting make-up on and taking pictures! Same goes for outfit of the day posts - all I can manage to do right now is lie in bed in my pjyama top and joggers, so that's a definite pass. Besides - I'm not going anywhere! However, all of this got me thinking. Don't you hate it when you're sick and feel absolutely gross? We can't be bothered to do our hair, face, anything, and seeing as we want to be as comfortable as possible, this usually involves throwing on some baggy old pyjamas out of our wardrobe whilst we crawl back into bed and hope to feel better. Today, I'm sporting the 'grey joggers and boring vest' look, and it just kind of dawned on me that I don't really have many pyjamas that are comfortable and look good at the same time. I mean, yeah, we all have our cute sets of pjs, but are they really cosy? Even for sick days? That little silk night dress is most likely not. I bet all of your 'nicest' stuff is sat there in the back of your wardrobe, rarely ever used! So, I have been inspired to go on the lookout for the cutest comfortable pyjamas, for your sick days, or just plain lazy days in general - when you want to look good and feel good at the same time. You're welcome! You can't go wrong with a onesie for a cosy night in - as well as being really in trend right now, there's a variety of different designs and styles out there for you to choose from. I particularly like these three from Boohoo.com - it would be impossible not to look cute dressed like this! 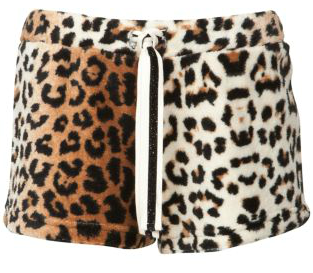 If you prefer a bit of room to breathe in your pj's, you might prefer some pretty shorts and vests - these leopard print fleece shorts look incredibly soft and comfortable, and this cute leopard lace vest comes as part of a set - both from newlook.com. Maybe you'd prefer not to stick to one design - mix and match with these gorgeous printed bottoms! Pair with a simple plain vest or tee and you're good to go. 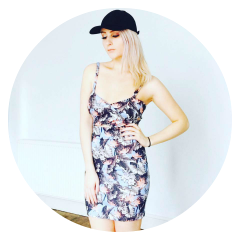 If you're more into sets and playsuits, look no further! So many cute colours and designs right here! Or, maybe you don't mind a bit of luxury nightwear from time to time - these beautiful nighties might be just for you! So, those are my picks for the comfiest looking pyjamas. I've bookmarked some of them myself for possible future purchase! Thanks for commenting and have a great day! Wake me for lunch! & a onesie please, they should make a Yoshi one!